New Jonah Field Gas Pipeline in Service. Pipeline expands Jonah Field's flow capacity. 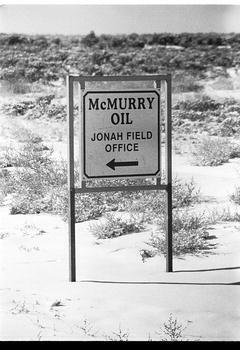 McMurry Oil and its subsidiary, Jonah Gas Gathering, have brought into service a new 20-inch natural gas pipeline from the Jonah Field to Opal. The new pipeline went into service on September 1, says Tom Fiore, Operations Manager for Jonah Gas.  McMurry Oil invested close to $23 million in the new pipeline, compressor stations, and further expansion of its natural gas gathering system in Sublette County. Prior to bringing the new pipeline into service, production from the Jonah Field was restricted by the flow capacity of the old pipeline at 235 million cubic feet per day of natural gas. With the new pipeline, the flow capacity out of the Jonah Field has been increased to approximately 320 million cubic feet per day of natural gas. This increased flow capacity means increased revenue for McMurry Oil, the other operators, and the Sublette County government. The additional 85 million cubic feet of gas per day the Jonah operators will be able to send to Opal, translates into increased revenue of approximately $200,000 per day. Of this, approximately $11,000 per day will flow into county government coffers. McMurry's expansion included the installation of a third 3,000 hp engine at the Luman compressor station and 4,000 hp of compression at the new Bird Canyon compressor station. The company laid 50.5 miles of 20-inch pipeline from the Bird Canyon compressor station to Opal. The cost of the second phase of the expansion project is estimated at $23 million. Eventually, McMurry Oil plans to increase the horsepower at its two new compressor stations, which will lead to another jump in flow capacity of natural gas to Opal. With the increased horsepower, approximately 450 million cubic feet of gas per day will flow to Opal. McMurry Oil says 450 million cubic feet per day is the expected combined production for both the Jonah Field and the Pinedale Anticline. According to a press release, McMurry has installed the best available technology, low-emission compressor engines at both new compressor stations. Other emission control equipment has also been installed resulting in compressor station emissions that are far below the regulatory requirements of the Wyoming Department of Environmental Quality. Emissions from the compressor stations and their impact on visibility above the Bridger Wilderness have been the most contentious environmental issue surrounding natural gas development in southwest Wyoming. McMurry Oil will host a dedication ceremony for the new pipeline. The ceremony will be held at the Luman compressor station in the Jonah Field south of Pinedale on October 16, beginning at 10:30 a.m.